Most people love Fridays. Seven years ago, Tim Haus couldn’t stand them. These days, Fridays just might be Haus’ favorite day. Haus and the tennis staff at Birchwood are currently running a seven-week junior program that takes place on Friday nights, bringing area high-school aged players to the club for a night of tennis competition, instruction and games. The program, which started seven years ago and runs throughout the winter, has become largely popular in the Eastern Pa. tennis community, and has helped introduce countless players to the sport. 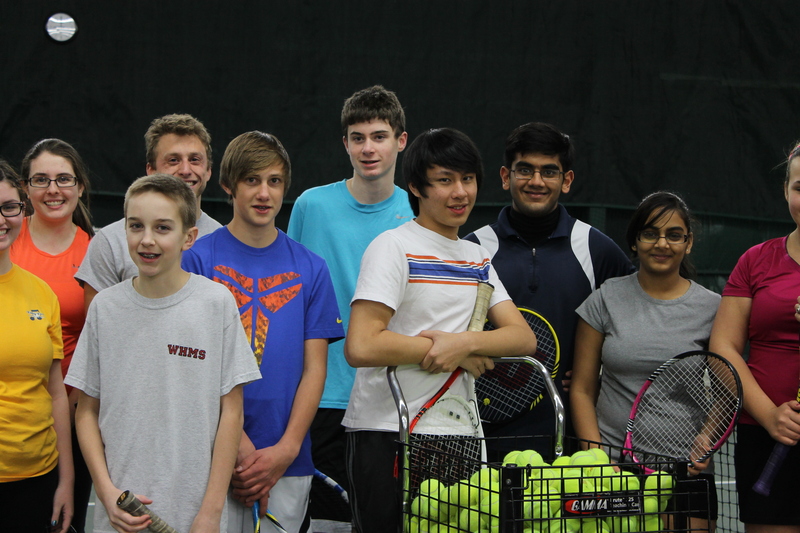 It’s also been a chance for players to prepare for the spring high school tennis season. This year’s program has two more nights scheduled: Mach 7 and March 14. The idea came about seven years ago, when Haus was thinking of new ways to get the courts buzzing more on Friday nights throughout the winter. Always looking to introduce tennis to as many new players as possible, Haus looked to the junior crowd. He reached out to local high school coaches and players about the possibility of Friday night events. The idea stuck, and after the first night, he knew it would be a success. After the program gained popularity over the years, Haus began registering the Friday play events as USTA Play Days. The cost is $10 per player, per event, and the players can sign up for as many – or as few – as they’d like. On any given Friday, close to 100 players could arrive to play. Haus said the partnership with the USTA helped connect the club to a new group, and give players info on new tennis programming and options. Haus said his outlook is to give as many players as possible a chance to enjoy tennis. It’s paying off, and he expects that to continue in the long run.